Some individuals might put a nasty label on those that are suffering from some form of depression. These people might imply that if you are a believer of Allah then you cannot be depressed. 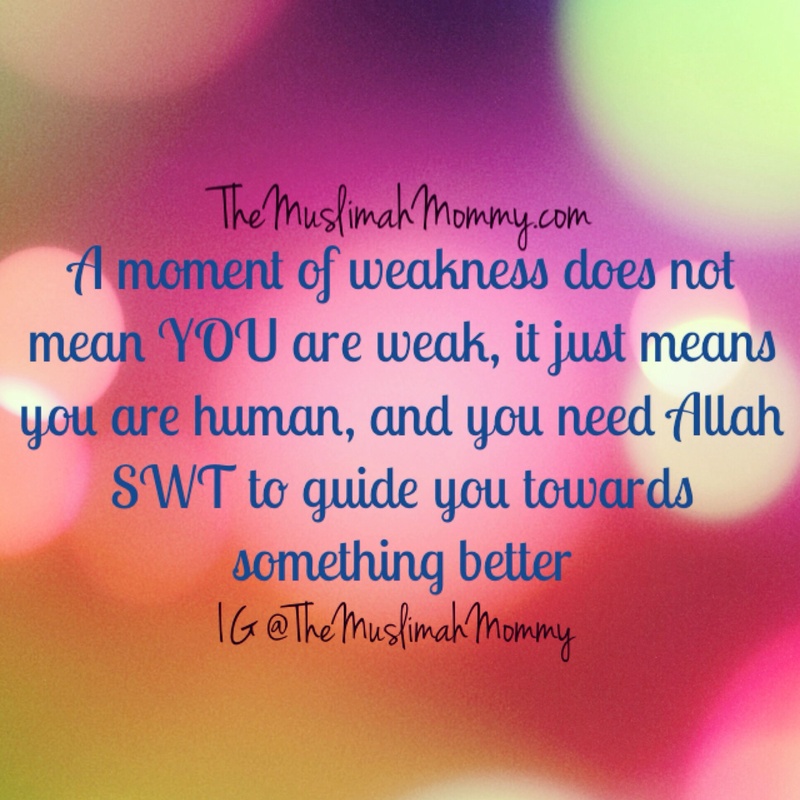 However, what those people fail to understand is that a moment of weakness does not mean YOU are weak, it just means that you are human, and you need Allah to guide you towards something better. Often times, we think we are in control of our lives, but when an unexpected event (such as depression) hits us, we realize that Allah is the planner of our lives and he wants to test you to get stronger! You see, Allah wants us to move from where we reside in our lives, for he knows there is something better for us. It’s important to remember that there are blessings in everything, even within our hardships! Allah bless you, my sister, for your great blog and your excellent efforts! For sure there are many illnesses that are tests of patience, even depression, for example when our hormones have an imbalance that results in depression it is a physical illness and often times can be treated with medication quite successfully. Taking medicine for an illness is also sunnah, as the prophet Muhammad, SAWS, recommended honey as a medicine for a man with a stomach ailment. Thank you so much for your sensitive treatment of this subject, and Allah strengthen us all in whatever way is best for us, ameen! Greetings from Egypt!